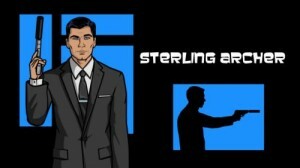 FX continues to show its commitment to its programming by picking up the animated spy comedy, Archer, for a second season to air in 2011. Archer was created by Adam Reed, the creator of Sealab 2021 and Frisky Dingo, when he spotted a beautiful woman, and came up with the idea of a spy who can always come up with the perfect line. He pitched the idea to FX, who picked it up for an initial six episode season. “We are incredibly excited about the opportunity to make a second season of ‘Archer,’ and grateful that FX has enough faith in the show to allow it to build an audience. Excelsior!”, said the show’s creator Adam Reed. If you aren’t watching the show, you really are missing out on some great comedy.